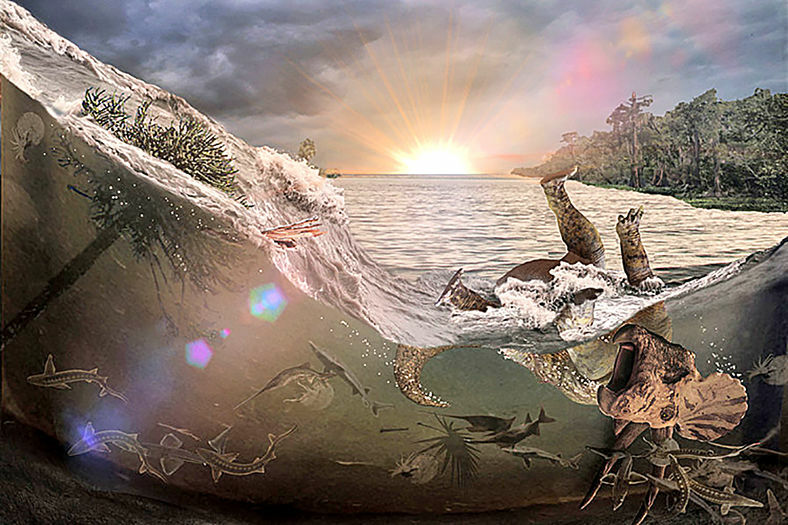 A meteor impact 66 million years ago generated a tsunami-like wave in an inland sea that killed and buried fish, mammals, insects and a dinosaur, the first victims of Earth’s most recent mass extinction event. The deathbed created within an hour of the impact has been excavated at an unprecedented fossil site in North Dakota. 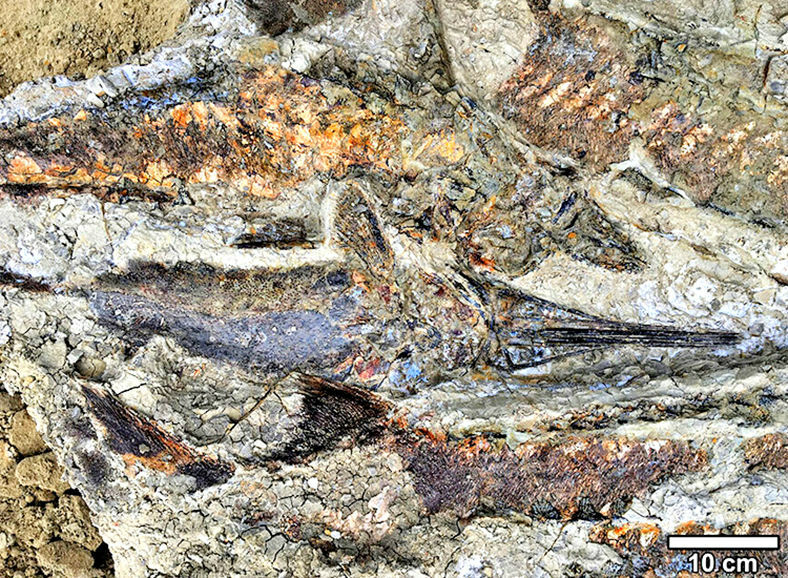 This unique fossilized graveyard — fish stacked one atop another mixed with burned tree trunks and conifer branches, dead mammals, a pterosaur egg, a mosasaur and insects, the carcass of a Triceratops and seaweed and marine snails called ammonites — was unearthed over the past six years in the Hell Creek Formation in North Dakota by lead author Robert DePalma.